Last year, we saw a few releases of Air Jordan 13 Retro sneakers, but there is one colorway that Jordan Brand left out that sneaker lovers have been dying to see return. On January 12th, the Air Jordan 13 Retro Black/True Red will be releasing once again, and sneakerheads everywhere will be rejoicing. The Air Jordan 13 Retro Black/True Red features Black leather on the toe box, as well as a Black mesh like material on the side panels. Blacks pods on the sole of the shoe sit on top of a suede True Red midsole that runs up the back of the shoe. For the final touch, a True Red Jumpman logo looks as if it is going to jump right off of the subtle Black suede tongue. All together, this shoe is a piece of art and one of the most loved Air Jordan colorways of all time. 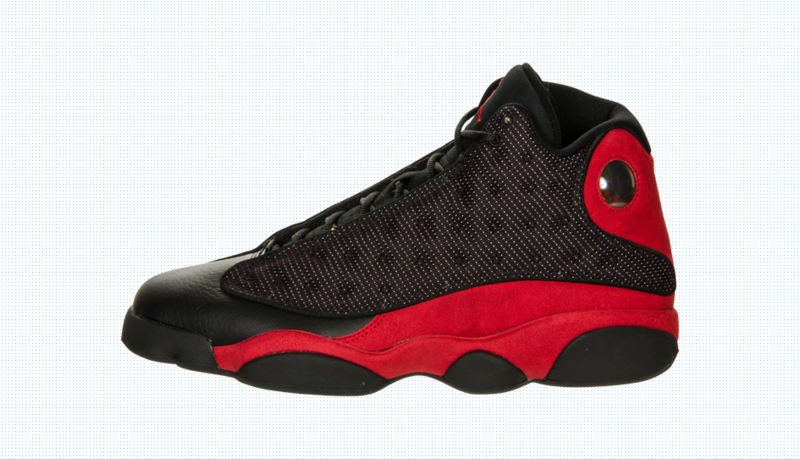 We have seen them retro once before, but folks were sad to see them not release alongside last year’s run of Retro 13’s. Fortunately, on January 12th you will have the opportunity to scoop you a pair or two.